To know your lucky number and numerology horoscope, please visit - Numerology Calculator. 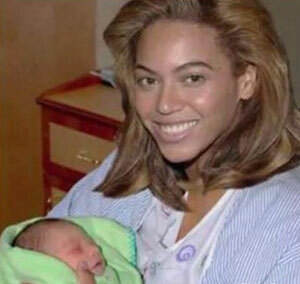 On January 7, 2012, Beyonce had a baby girl who was blessed by her mom’s fans all across the world. Countless tweets congratulating the couple flooded the American singers account all day long. Amongst the many tweets, there were around 240 posts that talked about the little ones wacky name. Blue Ivy Carter, is what the couple chose to call the little princess, leaving the world wondering why such a funny sounding name though. There were many speculations about the mystery of this wacky name like: "It spells the 'Devil's daughter' in Latin when you flip it backwards," said one. "It's an acronym for Illuminati's Very Youngest," speculated another. The truth? Ask a numerologists and he will tell you that the name Ivy is a play upon IV-y –four. Number four is the couple’s favourite number. The reasons pretty obvious-both their birthdays are on the fourth of month, they got wed on fourth and so why ignore their favourite number in naming their little one. In Blue Ivy's case, 1 + 7 + 2012 = 2020, and 2 + 2 = 4! !Also, 'Blue' is meant to signify Jay Z's favourite colour, according to some report. So would it be wrong to say then that -numerology is no longer an obsession of Bollywood alone, Hollywood too is falling in love with lucky numbers. Beyonce is not the only one in Hollywood who believes in the magic of numbers; Victoria Beckham, who gave birth to daughter Harper Seven Beckham in 2011, surely agrees that numbers work. 'Seven' is hubby David Beckham's lucky number and it was the number on his jersey when he played for English team Manchester United and the national team. Coincidentally blessed, Harper was also born in the 7th hour on the 7th day in the 7th month, and she also weighed 7 something pounds. Who said Bollywood alone is ‘Supersitious’ then, paying a bombshell too figure out their lucky number, names, spelling correction and lucky names for films. Hollywood has just woken up to the magic numbers can do in changing the dictates of destiny. Celebrate the occasion for this really is a big piece of news: Hollywood copying from Bollywood –no I’m not talking about songs MR. Anu Mallick . It’s the magic of Numbers to be precisely correct.